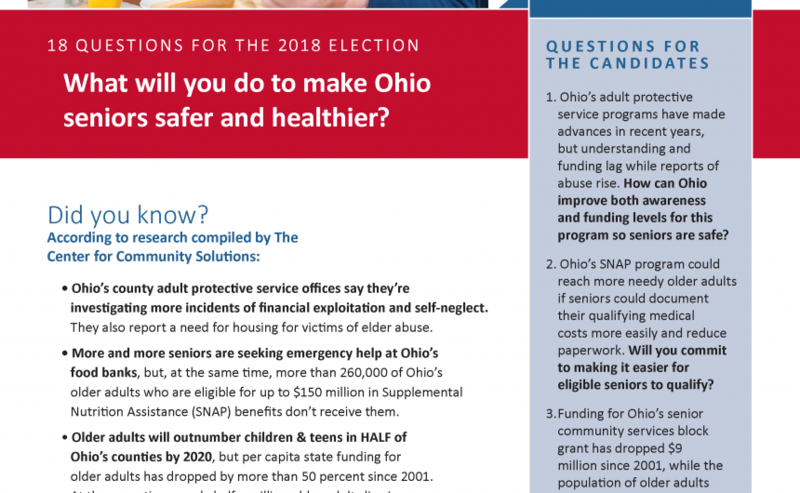 The Center for Community Solutions is posing 18 questions for the upcoming 2018 election. These questions are based on the research that Community Solutions conducted and compiled over the past several years on our six policy priority areas. We pose three questions for each priority area, each of the questions and issues are explained in detail in the below PDFs. 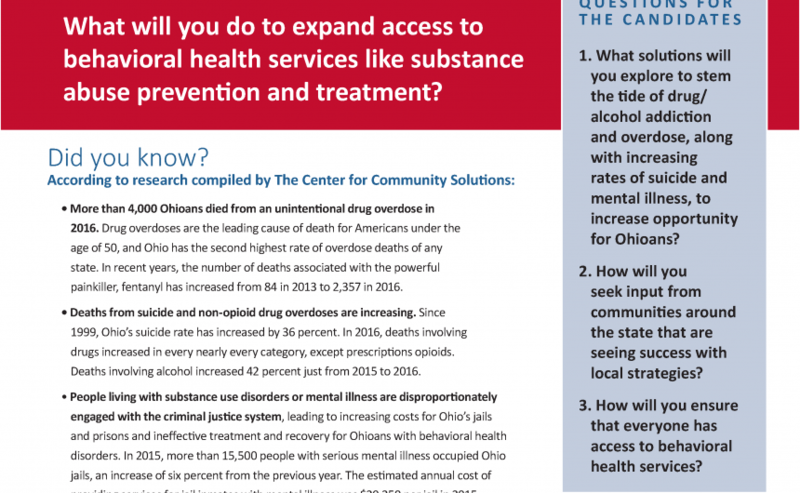 Read more about our behavioral health questions here. Read more about our older adult questions here. 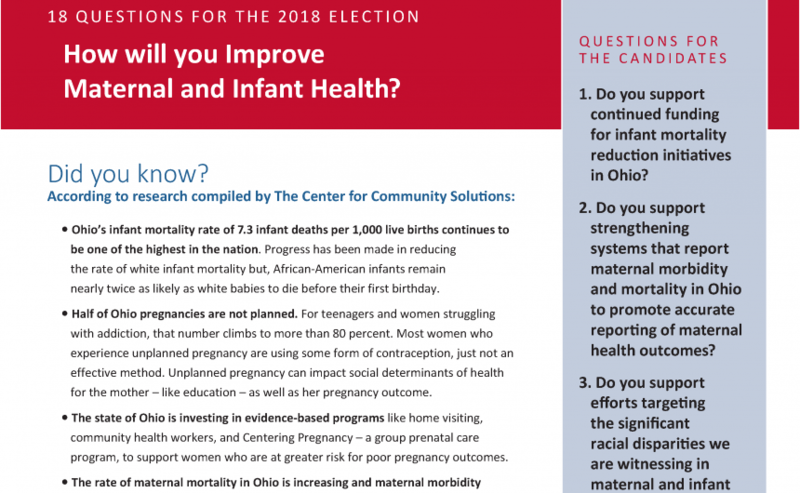 Read more about our maternal and infant health questions here. 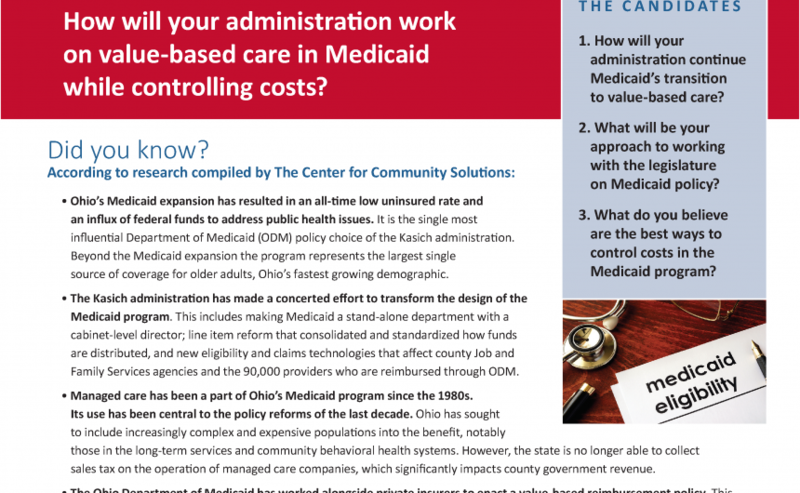 Read more about our Medicaid questions here. Read more about our questions on comprehensive school age health here. 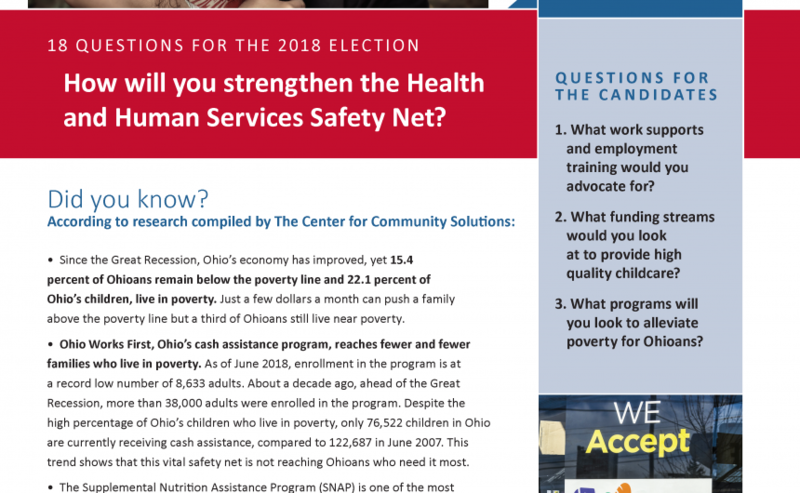 Read more about our questions on the health and human services safety net here.